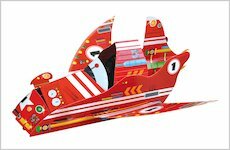 Cars, space travel AND a press-out rocket model. What more could you vehicle fans ask for? We’ve never seen a better read for action-loving smallies. 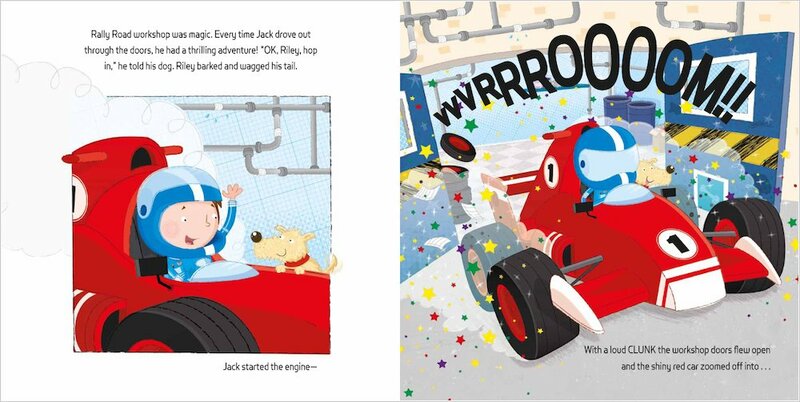 Meet Jack – a little motor mechanic whose workshop is like no other. Why? It contains a fleet of magical cars. 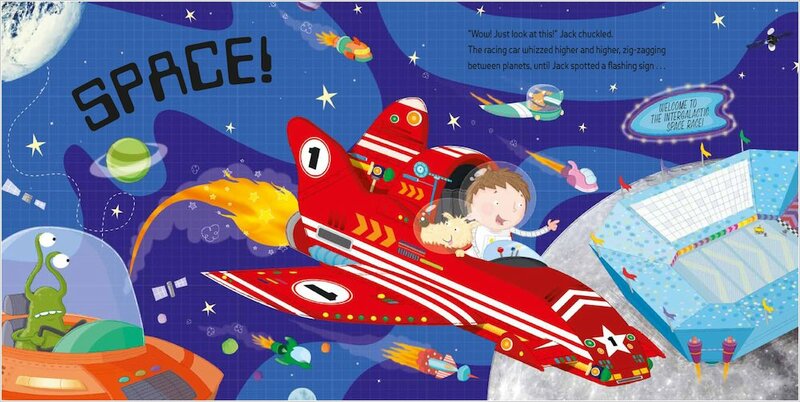 One day Jack zooms off to outer space and is caught up in an alien space race. There are spiky, slimy and spotty ones; pointy ones and blobby ones. Can he fix their cars? And who will win the race? 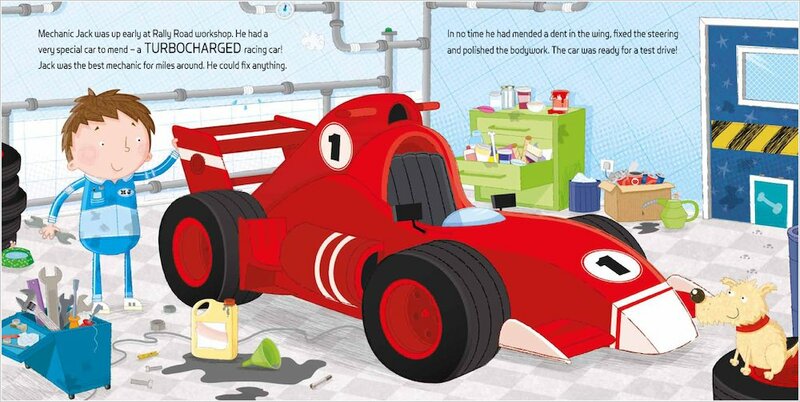 This was a great book, especially as it involved racing cars, which I absolutely love! 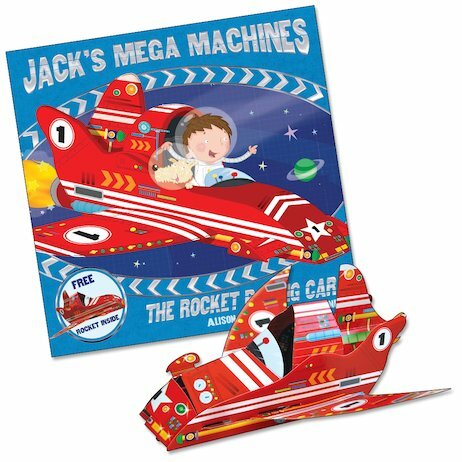 My favourite scenes are in the space race when Jack helped alot of the aliens fix there cars as he is a mechanic. My favourite race car was the big monster truck with 12 wheels and I especially liked the alien that was driving it, who was a big green 5 eyed monster. I rate this book 10/10, I loved this book as it had great illustrations of weird cars and it also comes with a racing car cardboard model which you can act out the adventure with.